Official Press of the EU Council. On 25 April 2017 the Council adopted conclusions on the United Nations strategic plan for forests with a view to EU participation in the 12th session of the UN forum on forests. 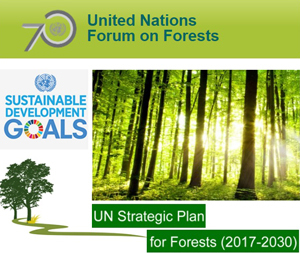 The conclusions highlight the importance of the first-ever UN Strategic Plan for forests 2017-2030 and the related four-year work programme. The plan will be a key instrument to promote synergies and mutually supportive implementation of the policies and programmes for forests of the different UN bodies. The conclusions also confirm full EU support for the plan and commitment to enhancing the implementation of global forest-related issues at international, regional and national level. The conclusions pave the way for EU participation in the 12th UN forum on forests (UNFF 12) on 1-5 May 2017 in New York. The UNFF is a subsidiary body aimed at promoting “the management, conservation and sustainable development of all types of forests and to strengthen long-term political commitment to this end”.